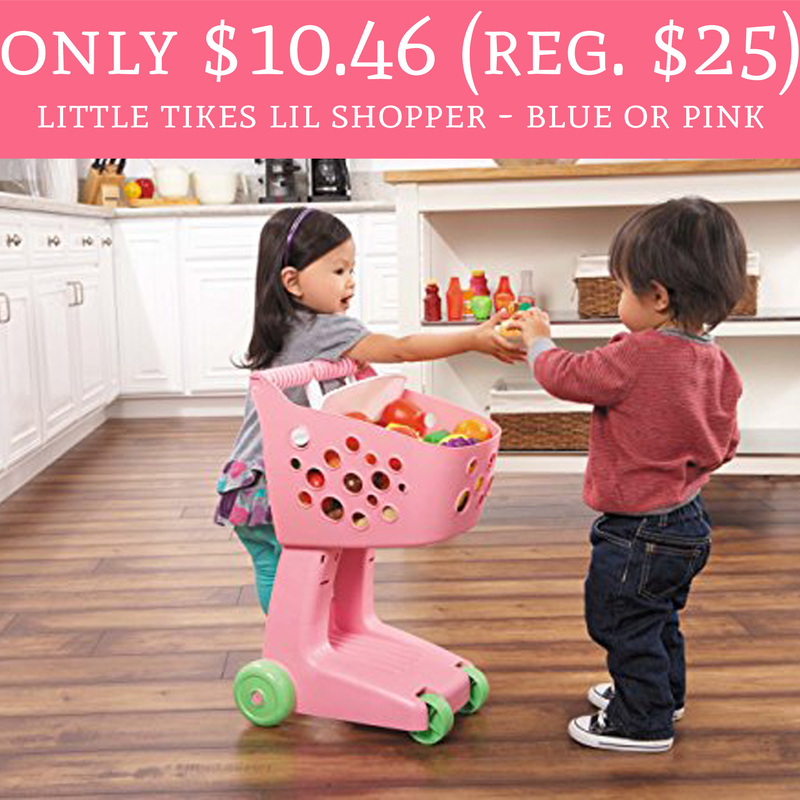 Hop on over to Walmart.com to score the Little Tikes Lil Shopper in pink for just $11.46 (regular $25) or Little Tikes Lil Shopper in blue for just $10.83. When you choose pick up in store you will receive a pick up in store discount dropping the price. This is an amazing price, if your little one likes to play pretend kitchen/shopping/food I would hop on this deal! Order yours here!